American Apartment Owners Association (AAOA): Serving the needs of property managers, real estate owners and brokers, landlords and apartment building owners all across the United States. From tenant screening to apartment financing, landlord rental application forms and contractor directories, the American Apartment Owners Association has clients covered. At Pulse Solutions, we strive to maintain international quality standards and deliver web success. We understand that a user friendly website is key to increasing website traffic and retaining users. In the case of the American Apartment Owners Association, the goal was to take an already extensive, successful operation and pave the way for a fully optimized website. 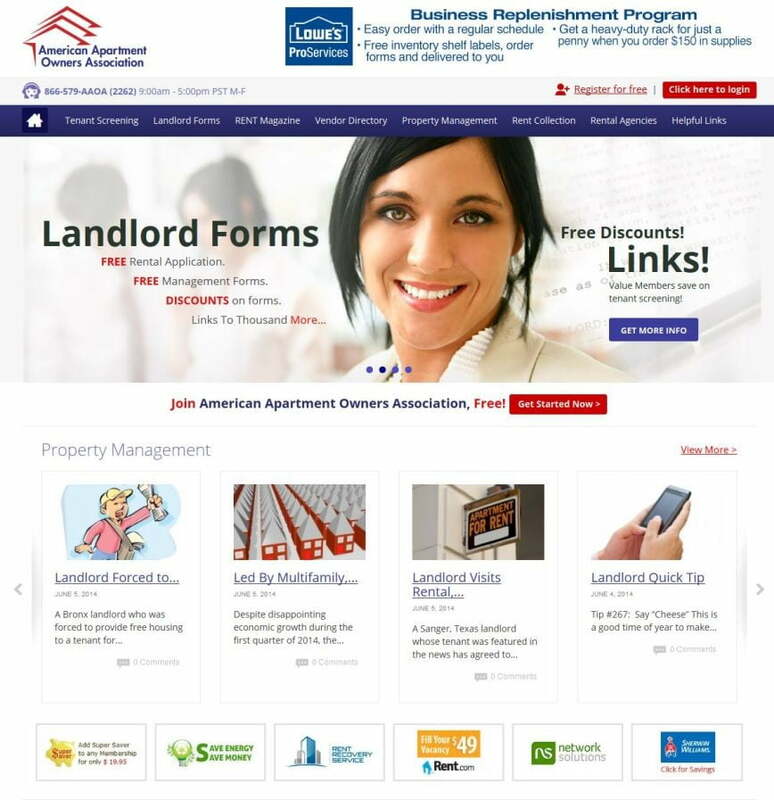 On the 5th of June 2014, Pulse Solutions made live the refurbished website for the American Apartment Owners Association. The new website is responsive, more user friendly with a better layout and more detailed supporting content. With the optimized website, the American Apartment Owners Association is ready to take on an unlimited number of users, delivering a positive experience and ensuring continued patronage to the brand. Pulse Solutions is committed to delivering success in the overall performance, usability and scalability in our products. We place high priority on a website not only being free of bugs, but on the overall performance and aesthetic qualities of the website that in turn projects the company’s brand image.